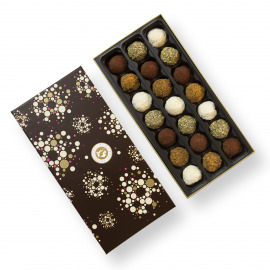 Delicious chocolate confectionary, the truffle was invented by Louis Dufour in 1895. Originally a combination of crème fraîche, vanilla and cocoa powder, today the truffle has been enriched with new flavours. 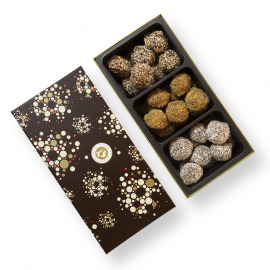 At Planète Chocolat, we offer truffles flavoured with: speculoos, champagne, mocha, pistachio, cocoa as well as the traditional regular vanilla truffle sprinkled with cocoa powder. 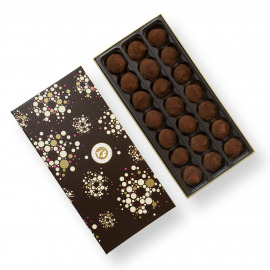 Originally created for the end-of-year festivities and given as a Christmas present, the truffles will also go perfectly with your Holiday meals and desserts.